Students and staff at Lura M. Sharp Elementary School recently showcased their holiday spirit by singing songs, watching Christmas movies and dressing the part. 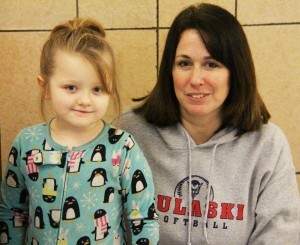 Kindergarten teacher Jennifer Monnat and student Miley Cronk have some fun during a holiday celebration. On the final day of classes before winter recess, students and staff were encouraged to dress in pajamas and wear festival decorations, such as reindeer hats and elf costumes. Seemingly every student and staff member dressed up for the event, creating a comradery that exemplifies the holiday season. Students gathered around the entrance of the building to sing holiday songs with the help of some instruments. Students then gathered in the school’s auditorium to watch classic animated Christmas movies, capping off a day full of holiday cheer. 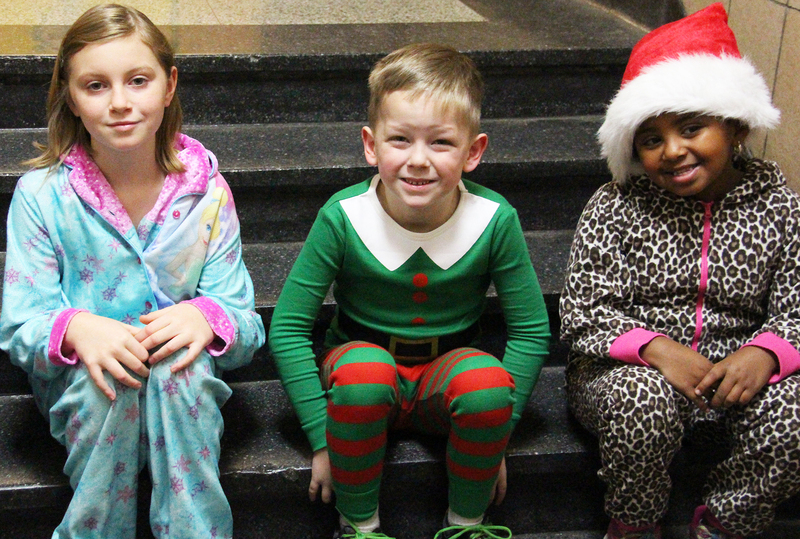 Lura M. Sharp Elementary students recently dress in pajamas for a holiday celebration. 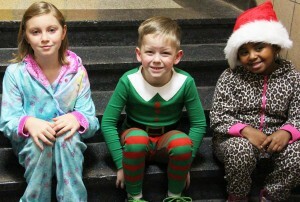 Pictured from left, students Ava Lawrence, Camden Baxter and Emma Wilson-Hefti show off their holiday spirit.